Bookworms are quiet creatures who live for peaceful corners and lazy weekend reads—and they can be hell to shop for. 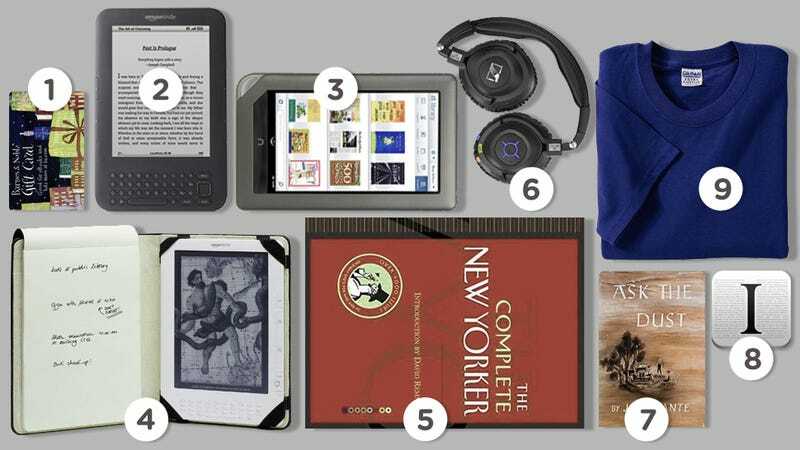 So here are some gift ideas for the the bibliophiles in your life. Note that with the exception of The Complete New Yorker, I've refrained from making specific book suggestions. That's because it's pretty rough to find a book which is likely to be a hit with any reader. But if you really, really want to gift a book and aren't sure what to go with, feel free to check out the Gizmodo Reading Room for ideas. All that aside, I do want to encourage you to add your own gift (and book!) suggestions in the comments of this post.